In fact, it’s what a recently re-elected mayor told a major BC newspaper on Friday (on his 63rd birthday, no less) adding to the politician’s long list of badass comments about resource extraction and risk. “I didn’t look for the fight. 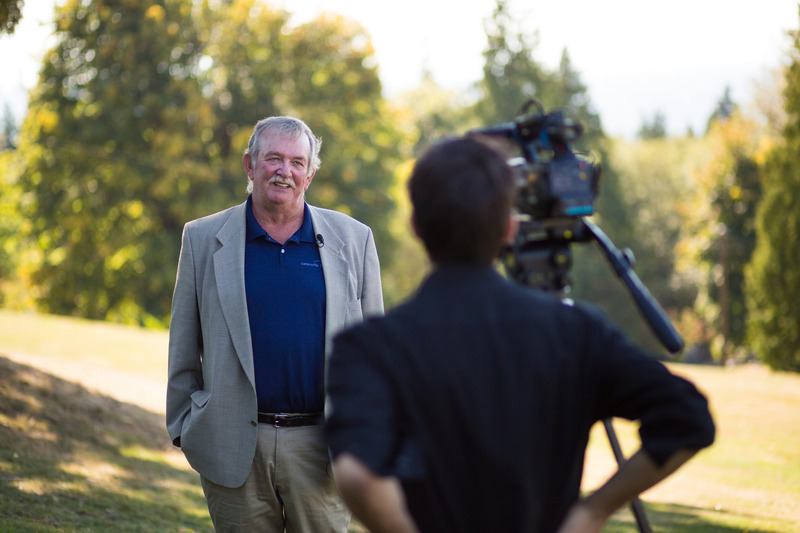 But like any good east end boy, if it comes to me, I’m not going to back down,” Burnaby Mayor Derek Corrigan told the Province, referencing a legal challenge Burnaby is waging against Kinder Morgan for violating the city’s bylaws. Earlier this year he also told Global BC he would stand in front ​of a bulldozer to stop the expansion. Why is this guy, whose bristly silver mustache looks like it belongs on the RCMP side of the caution tape, taking such a radical stance on a resource project? For starters, Kinder Morgan oil has already spilled down the side of Burnaby Mountain while he was running the city in 2007, and he says the response was less​ than spectacular. “It was my first time working with Kinder Morgan and Kinder Morgan’s approach to the issue,” he said. “When the line broke, instead of turning off the line at Burnaby Mountain, they turned off the line at the tanker. That meant all the oil backed up from the tanker, and the oil kept flowing down the mountain. “If you want to see the Keysto​ne Cops in action, try the people that were put in charge of this emergency,” he said. His city council has done a cost-benefit analysis, and the dollars and sense just don’t add up. “There’s nothing in this for Burnaby except potential damage,” Corrigan told a town hall in 2012. Kinder Morgan’s total Canadian tax contribution averaged just $1.5 million a year from 2009 to 2013—not even enough for a Point Grey home, as author John Vaillant pointed out i​n the Tyee. Of all the pipeline projects happening across Canada, Kinder Morgan’s Trans Mountain expansion was flying under the radar until last week. The company wants to triple the capacity of a 60-year-old line that currently pipes refined oil from Edmonton through the Lower Mainland of British Columbia. The new pipeline would ship 890,000 barrels of unrefined bitumen through the city of Burnaby—a capacity 59 percent more than the controversial Enbridge Northern Gateway pipeline, by the way—increasing tanker traffic in the Burrard Inlet six-fold. As the project winds its way through the National Energy Board’s review process, the company has tried to get a head start on some geotechnical survey work inside a Burnaby conservation area (something that violates Burnaby bylaws, Corrigan says). Since September an alliance of indigenous land defenders and environmental activists have camped out on Burnaby Mountain, standing in the way of Kinder Morgan workers. The company filed an injunction against the protestors, and the RCMP have enforced the order beginning Thursday, November 20. Since then, we’re averaging a dozen arrests per day. Mayor Corrigan has yet to join the protest line, but such a move wouldn’t hurt his popularity among Burnaby residents. Last week he got reelected, scoring three times more votes than his nearest competitor. You might expect a resource critique from Vancouver’s bike-riding, juice-selling mayor, but Corrigan’s unwavering critique of corporate corruption lands like your uncle’s weird opinion rather than a lefty talking point.